Brian Foley as a human statue in Central Park. I've been contacted by Mike's niece, Teresa Tenekedjian, looking for more information on Mike's years with Alf Landon as well as his many years on Ringling and Beatty-Cole. If anyone out there worked with Mike over the years please take a moment to post your stories in the "comments" of this post to share with the family. Billy Vaughn warming up the crowd at the Yankee Doodle Circus with a balloon act inspired by the classic acts of Dime & Connie Wilson and Blinko & Maran. Yankee Doodle owner and ringmaster Mike Naughton (very soon to reside in Sarasota, FL) in the background. 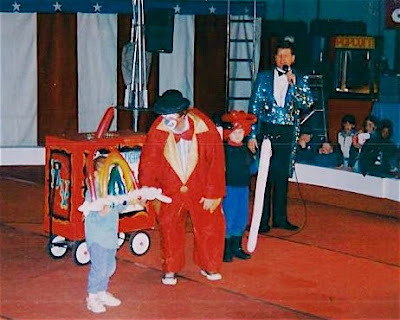 The Pickle Family Circus was a small circus founded in 1975 in San Francisco, California, USA. 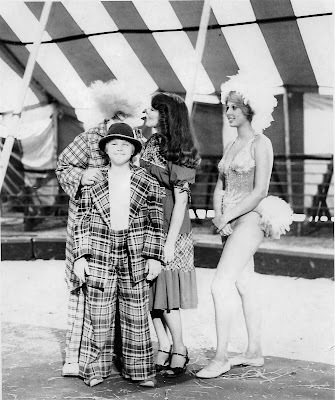 The circus formed an important part of the renewal of the American circus. They also influenced the creation of Cirque du Soleil in Montreal. Neither circus feature animals or use the three-ring layout like the traditional circus. 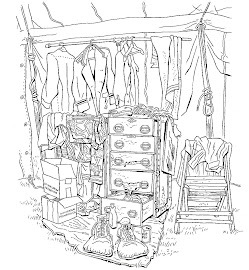 After working with the San Francisco Mime Troupe, the Pickle Family Jugglers (founded by Peggy Snider, Larry Pisoni, and Cecil MacKinnon) decided to create the Pickle Family Circus. Their first show was in May 1975, in the gymnasium of John O'Connell School in San Francisco. After they received a grant from the National Endowment for the Arts in 1976, they went on their first tour, going to five cities in Northern California. 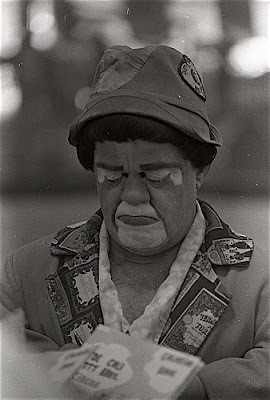 During the late 1970s and early 1980s, the Circus performed on weekends in the Bay Area during Spring and Fall, and toured for 3 months in the summer, mostly in towns along Highway 101 in Northern California and Oregon. In these years, the Pickles operated with a business model that every show was a benefit, usually for a local community organization. The local sponsor sold advance tickets (getting a portion of the revenue), did publicity and site preparation, and ran a midway. The Circus returned to the same towns year after year, and these events became an important source of funding for the sponsors. This freed the company from much of the advance work. In 1979, the Pickles extended their tour to perform at the Alaska State Fair in Palmer, Alaska, and in 1981 performed a two-month winter run at the Roundhouse Theater in London. A critical part of the early financing of the Circus was through the federal CETA Arts Program, founded by John Kreidler in San Francisco in 1974-75. Under this program, Larry Pisoni, Bill Irwin, Geoff Hoyle and Michael Nolan were employed. John Kreidler's Alameda County Neighborhood Arts Program was the Pickle's first fiscal sponsor, which received the $10,000 NEA grant. Nolan secured the grant with the assistance of Eric Reuther and then proceeded to book the first tour of Northern California. Among the sponsor's was Bill Irwin's mom, Liz Irwin, and her nonprofit Senior Center in Ft. Bragg. 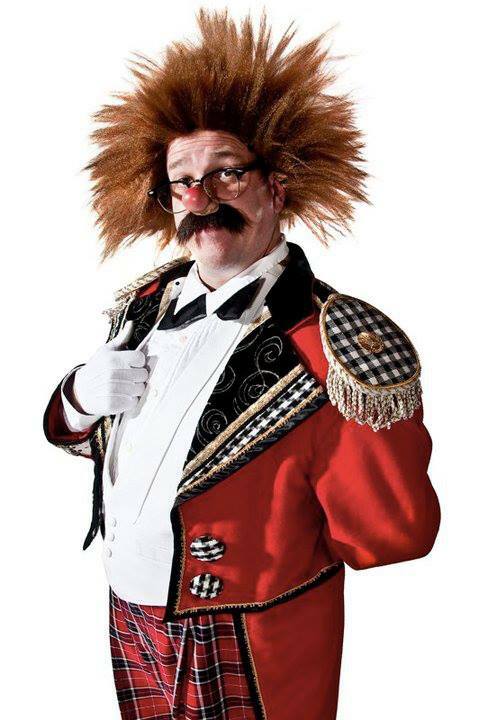 In the early years, the circus boasted three clowns: Larry Pisoni, Bill Irwin, and Geoff Hoyle; they were the stars of a Pickle Family Circus production in 1981 called Three High. After Irwin left the Pickles in 1979, Pisoni and Hoyle worked as a duo. It was at this point that Hoyle evolved his Mr. Sniff character. 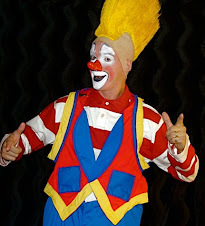 The clowns were always central to the Pickle performance, making multiple cameo appearances throughout the show and interacting with the other artists. The early company operated on three fundamental principles: All decisions were made collectively by the entire group, all members got the same pay, and all performers also had offstage jobs. Only a very few company members did not perform, serving the need to maintain an ongoing office while the company was on tour, and to have one person on hand who could get dirty during the show. The company had its office and rehearsal space in a former church at 400 Missouri Street at the corner of 19th Street in the Potrero Hill neighborhood of San Francisco, and many of its members lived in and were active in that community. 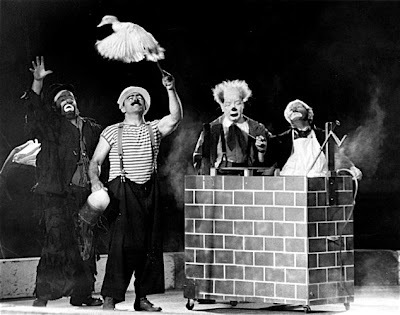 Juggling was always an essential part of the Pickle Family Circus, and every show ended with the "Big Juggle", involving almost every cast member in intricate club passing patterns. Several members of the Pickle Family Circus were in the 1980 movie Popeye starring Robin Williams, including Bill Irwin (playing Ham Gravy), Larry Pisoni (Chico), Geoff Hoyle (Scoop), and Peggy Snider (playing Pickelina and credited as Peggy Pisoni). The Pickle Family Circus is now a part of Circus Center, which comprises the San Francisco School of Circus Arts, the New Pickle Circus, and the San Francisco Circus; The New Pickle Circus stages a professional show mounted each December in San Francisco and several special productions throughout the year. Thanks for running Bill's photo of the Shermans. Joe Vani has been gone over a year now. I was recently reconnected with a girl I knew in high school. She was my magic assistant. In the process of catching up, she mentioned that she had worked for the Greenville, Ohio newspaper as a reporter. She said that one of her fondest memories was when she got to kiss a clown at the circus. I've attached a copy of the photo. It was taken in 1981. She had no way of knowing at that time that I knew the clown she was kissing in the photo. When she showed me the photo, I looked at it, laid it down, rolled up my sleeve and showed her my tattoo of Joe. We've been dating ever since! PS: I think the other two in the photo are George Jr. and Vicky Hanneford. Graham Chapman, John Cleese and Tim Brooke-Taylor who starred with Cleese on I'm Sorry, I'll Read That Again and both Cleese and Chapman on Not the 1948 Show prior to their work on Monty Python's Flying Circus. Does anyone else like Morningstar Farms vegetarian chicken patties? I like them a lot. I think that I like them best on Arnold's Multi-Grain Sandwich Thins with some lettuce and just a little bit of barbecue sauce. I have a writing project that I have to finish up and then I might go to Old Navy today and get Shane some Marvel superhero t-shirts while they are still on sale. They have a cool Captain America one AND you get a free reprint copy of Amazing Fantasy #15 (first appearance of Spiderman) with every purchase. Rex Young, Antar Wazzan, Joe Sherman and Charlie Cheer performing together on an unknown Shrine Circus date. There is a longer version of this sketch on the Pythons' Live at the Hollywood Bowl but this one is from one of The Secret Policeman's Balls, a series of benefit shows for Amnesty International. 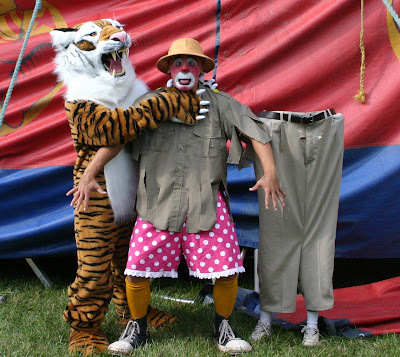 I am extremely happy to report that Steve Copeland has just announced that both he and Ryan Combs have signed on for another season with the Kelly-Miller Circus!!! If you haven't seen them in action yet, GO! Their gags are funny, fast-paced and performed with a level of dedication to their craft that is rarely (if ever) seen in traditional American "mud show" clowning anymore. These two are the "real deal" and I sincerely hope that K-M continues to afford them the freedom and opportunity to keep blowing the doors off of just about all of the other clowns currently on the road. Anywhere.